Stock Android may not make a special noise when plugged in to charge over USB, but it does play a tone when your device comes in contact with a wireless charger. Until now though, it hasn't been possible to disable this sound without adjusting the system volume. 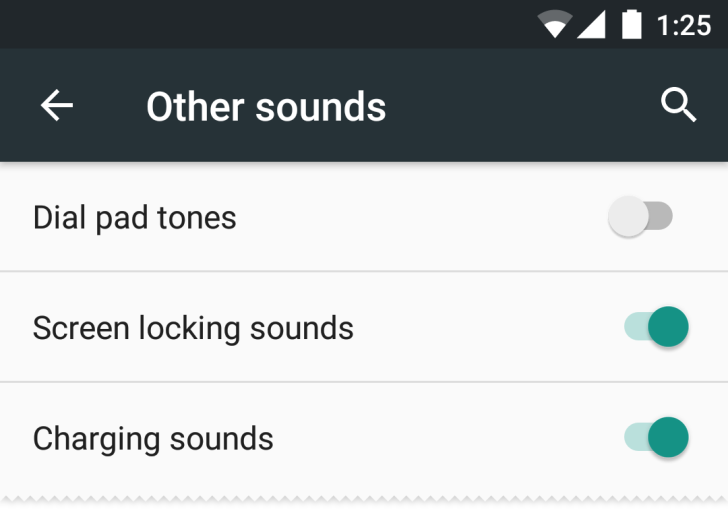 In Android M that will apparently change, as a new toggle joins the lineup in "Other sounds." Dial pad tones, screen lock sounds, touch sounds, and touch vibration entries are all still present. This is a small change, but - even if they're buried in settings - sometimes adding more granular controls can be a good thing, and that seems to be one of the themes of Android M so far. Hopefully we'll be introduced to even more improvements when the first M Preview OTA is released.